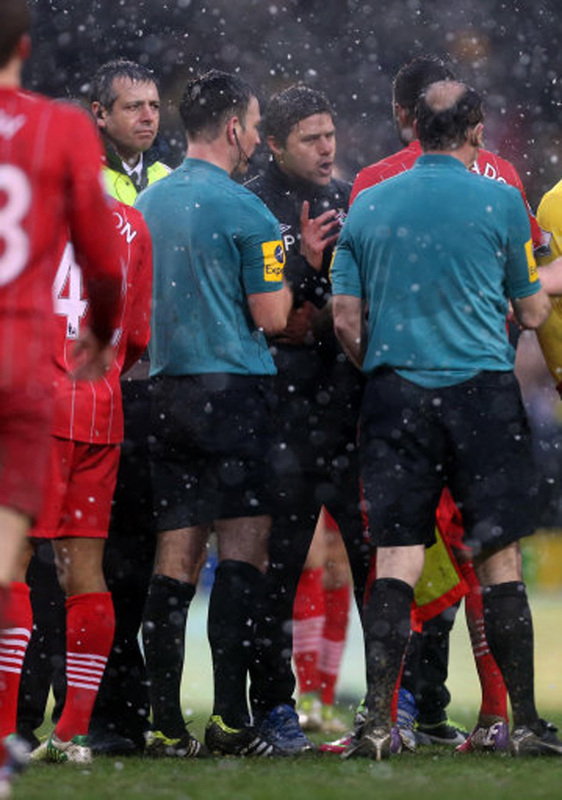 Norwich and Southampton produced a rather dismal goalless draw at a cold and wet Carrow Road in Saturday, although the Saints were the better of the two sides. Despite producing the better chances, the Saints failed to make the most of their possession and almost lost the game at the death in controversial circumstances. 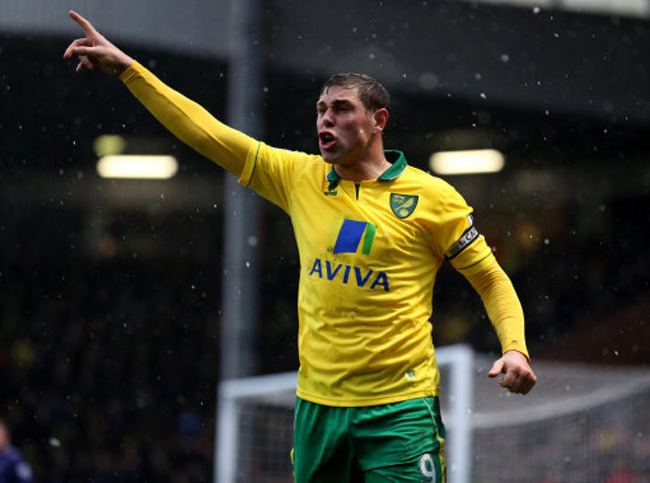 With time running out, chunky hitman ™ Grant Holt and defender Luke Shaw tangled on the edge of the Southampton box. Holt duly dived and his dramatics were rewarded with a potentially match-winning spot-kick. 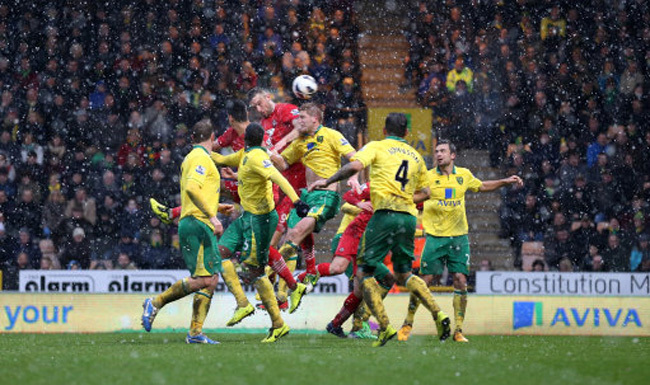 However, the striker couldn’t beat Artur Boruc in the Saints’ goal, with the game ultimately finishing scoreless. Interestingly, both Shaw and Holt had also been involved in another penalty shout in the first-half, with the highly-rated defender clearly pulling Holt back in the Saints’ box. 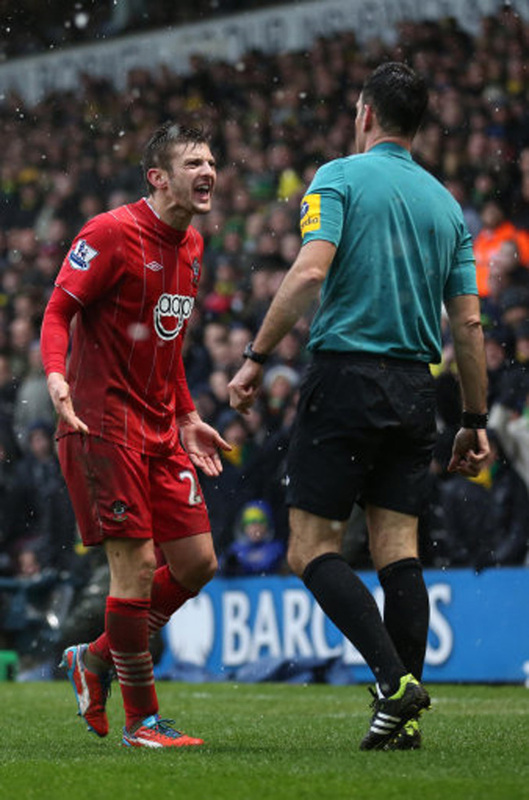 However, on that occasion, referee Mark Clattenburg failed to point to the penalty spot. Swings and roundabouts, as they say. Or something. The result sees the Canaries move to 13th spot while the Solent side are now four points clear of the drop-zone but still well and truly involved in the relegation scrap.